My favourite records don’t give answers. Instead, they ask questions. They wonder about the world and equip the listeners with tools to deepen their own sense of wonder. Loyalty is such a record. The album’s 11 songs are built up around Tamara’s Lindeman’s lovely voice and words, which are somehow both simultaneously tender and detached in equal measure. The arrangements are natural and tasteful, making a soft bed for the vocals to rest undisturbed. Tamara and Afie Jurvanen played all the instruments, and it’s all for the sake of the song. 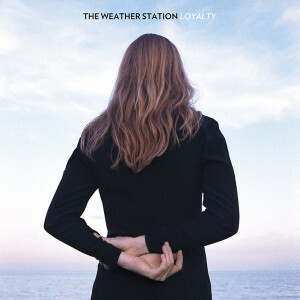 Tamara, the Weather Station, is fundamentally a skeptic. She circumambulates problems, studying them from all possible angles. Her songs are small puzzles, rife with koans of keen insight: “Your trouble is like a lens through which the whole world bends, and you can’t set it straight again.” I feel these songs like the lips of a good kisser: curious, tender, insistent, and a little fierce. Maybe it’s appropriate then that with Loyalty the problems at hand are relationships with other people. These are intimate songs. Nearly all of them involve an “I” speaking to a ‘you”. The “you” often changes throughout the album, toggling from a friend to a partner to the self and so on. Likewise, the “I” changes too, giving expression to the many conflicting elements that constitute a person. And while these two characters, “I” and “you”, are important, maybe Loyalty’s main character is the tie that exists between them—and the main question is how this tie can flourish without dishonouring the identity of the people who stand on either side of it. Loyalty seems to triumph in the frustration of this question—“Still it held me, loyalty, to a feeling, to some glimpse, of a love that was only ever a kind of distance. That we could not cross”—satisfied to find a riddle worthy of the Weather Station’s huge talent.